As anybody who’s spent time in a warehouse or packaging facility knows, there’s a lot that goes into a box. As containers, each one needs to be the right size and strength for its cargo. In addition to the exterior construction, the box may also need room for interior packaging, such as cushioning and partitions. 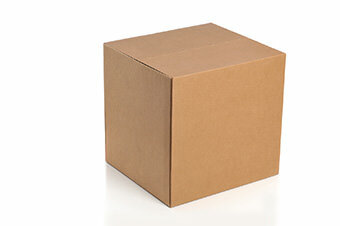 Most boxes (95% in the United States) are made of corrugated fiberboard. This material combines flexibility with durability. Stacking strength is a particularly important quality for corrugated boxes. This is what allows one to stack multiple boxes without any of them suffering damage. Your company depends on transporting products in a safe, efficient, and cost-effective way. By getting corrugated boxes made for your specific needs, you’ll be able to provide even better service to your clients. The Bassford Packaging Corporation is dedicated to providing clients with the kinds of boxes they need. We have long-standing relationships with vendors who can supply us with the highest quality corrugated paper, ensuring that your packages will be both sturdy and lightweight. We understand that your needs are specific. It’s for this reason that we’ve set up our facilities to quickly and reliably produce custom-sized boxes. We don’t force clients to buy more than necessary. Our company has small quantity capabilities, meaning that you can just get as many as you want. We also offer moving boxes. These too can be designed to exactly fit the kinds of materials that need to be moved. In addition to the boxes, you’ll be able to purchase a wide variety of interior packaging options, such as partitions and cushioning pads. These can work to improve your packaging processes. Whatever your packaging needs, the Bassford Packaging Corporation will be able to help.